campfire with a full view of the night sky. We hope to have grandchildren visiting sometime this week-end. This is a great spot for swimming, campfires and just relaxing. 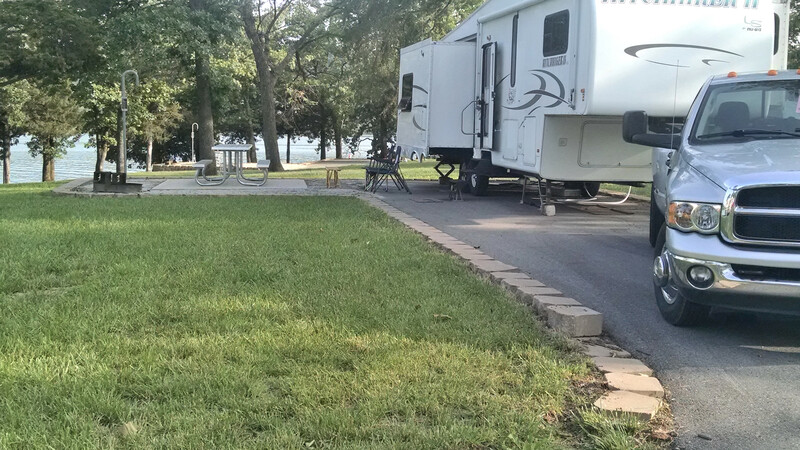 It is another peninsula filled with beautiful campsites. We did another day trip yesterday. We visited the Dewey Short Visitor Center at Table Rock Dam and then toured the Shepherd of the Hills Fish Hatchery. Table Rock Dam sits on the White River and was built for flood control and electrical power production. The hatchery had large aquariums where we watched huge trout swimming about at will.